You can contact us by telephone or by clicking on the e-mail contact subsections below. Exit 30 POTOSI/BON PASTOR of Ronda del Litoral. When getting to Monterrey square, go straight through Paseo de Guayaquil. Turn right at Cuzco Street. Turn right at Caracas Street. 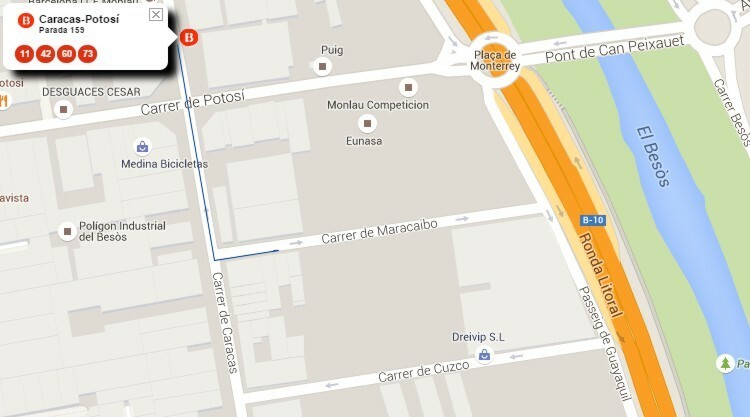 And finally, turn right at Maracaibo Street. Option A: There is an outdoor space, abled to park vehicles, at 6 minute walk from CESVA. This place is at Lima street, in the section between Caracas and Guayaquil streets. Once the vehicle is parked, come walking along Caracas street. Option B: use the free parking of La Maquinista mall. 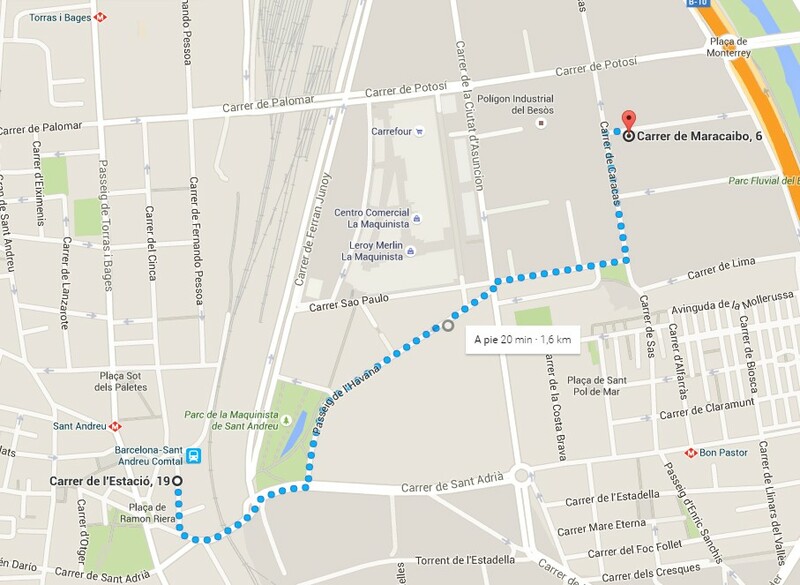 It is at 7 minute walk from CESVA (it depends on the output chosen). Check the schedule of parking. Walk to Maracaibo Street: 12min (850m). R2, R2Nord and R11 RENFE train lines: Sant Andreu Comtal Stop. Walk to Maracaibo Street: 20min (1.6km). Stop Torras i Bages of line 1 (red). Walk to Maracaibo Street: 16min (1.2km). Stop Can Peixauet of Line 9 (orange). Walk to Maracaibo Street: 10min (700m). Stop Bon Pastor of 9 (orange) and 10 (light blue) lines. 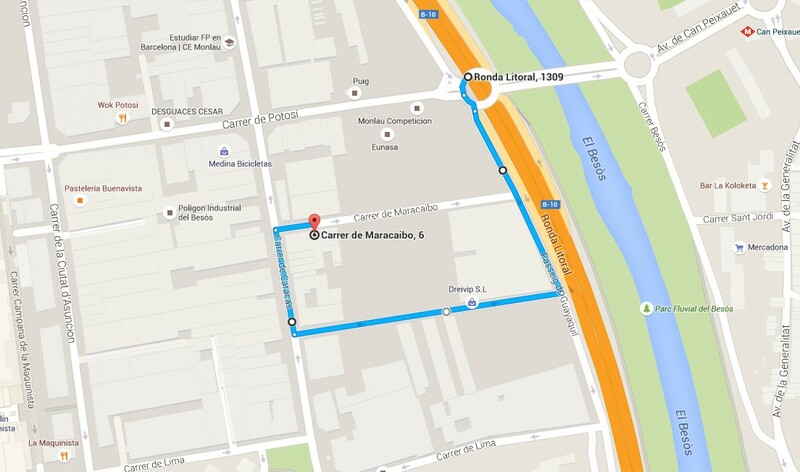 Walk to Maracaibo Street: 9min (750m). 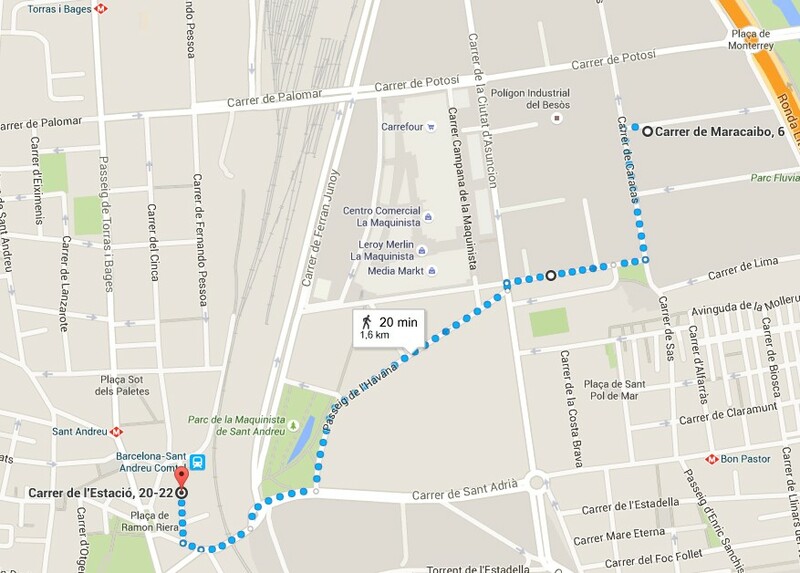 1.- From the airport: take the train (R2 RENFE line) up to Sant Andreu Comtal stop. 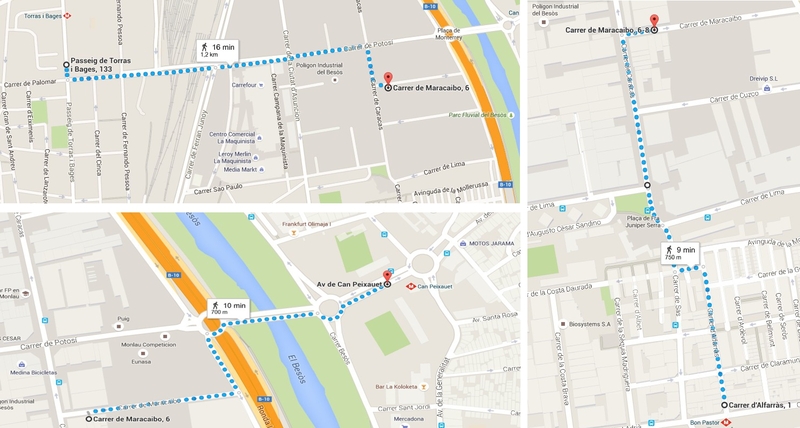 - From the Sants station: take the train (R2, R2Nord or R11 RENFE lines) up to Sant Andreu Comtal stop. 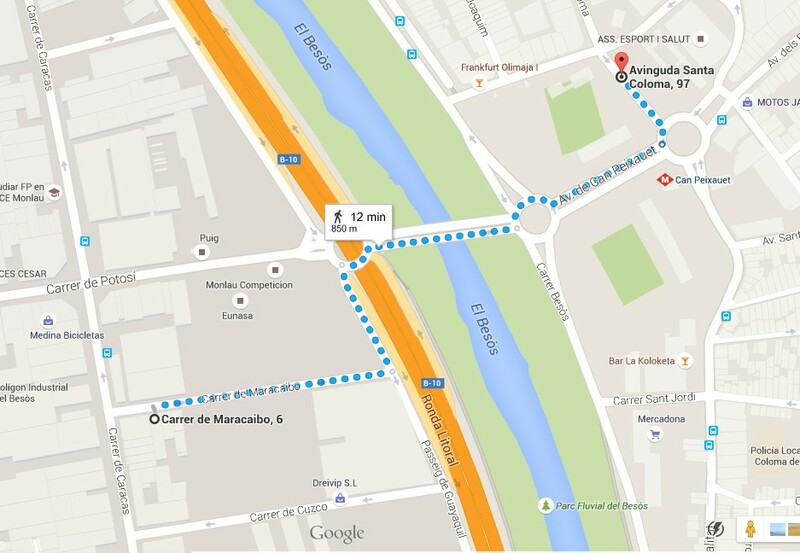 2.- From Sant Andreu Comtal station, take a taxi or walk to Maracaibo Street (20min).